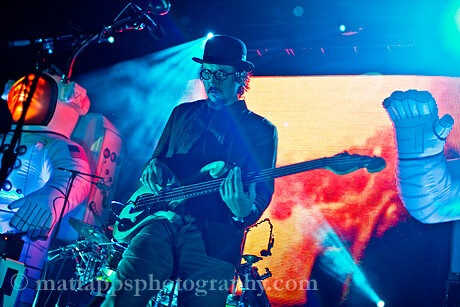 Primus | True Endeavors Presents: music, tours, tickets, mp3 downloads, concert pictures, videos, Madison WI. We’re guessing that Primus‘ October 13th concert at Madison’s Orpheum Theatre will be a show that fans won’t soon forget, but just in case our mental pictures fade, we have photographers Matt Apps and Charlie Goldstone to thank for documenting the concert for us! Check out their shots after the jump. Gobs of more live concert photos are on the way later this week. Be sure to check back to see shots from recent concerts by Melt-Banana, Trombone Shorty, Man Man, and Rhett Miller! 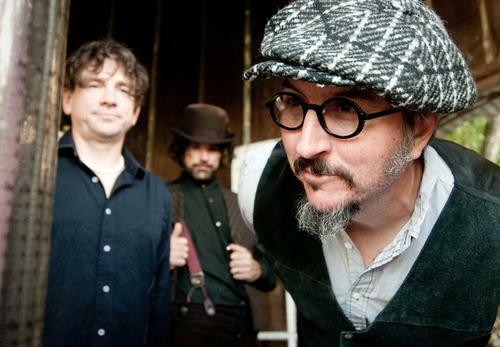 One lucky blog reader will win tickets to see Primus rock Madison’s Orpheum Theatre with their signature eccentric funk-rock sound on Thursday, October 13. Will it be you? Read on to find out how to enter! Be sure to grab your tickets to see Primus, Mac Miller, and Matt Nathanson NOW! These shows are dangerously close to becoming sold out, and we don’t want you to miss ’em! Click here to check out our Music Calendar to get your tix to these, and all of our other fabulous upcoming concerts!